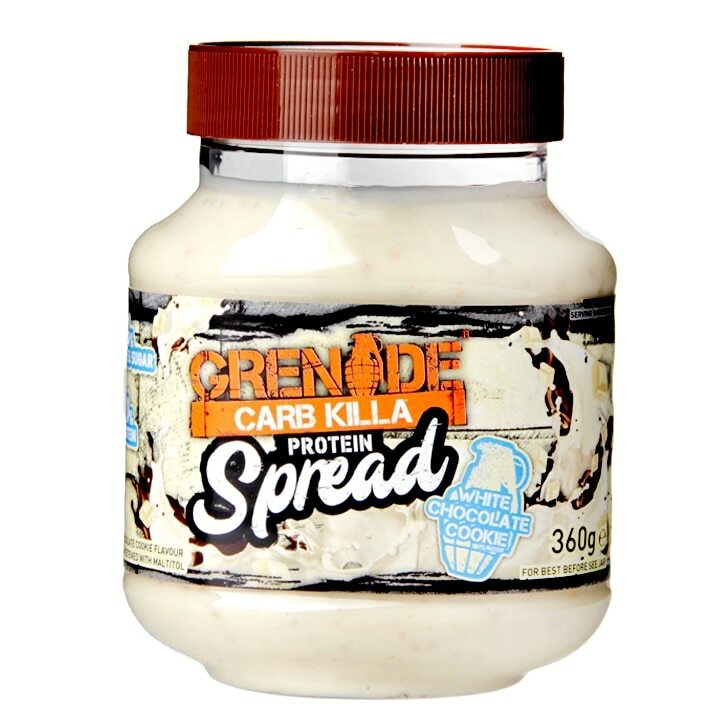 Grenade Carb Killa Protein Spread White Chocolate Cookie is rated 4.8 out of 5 by 16. Rated 4 out of 5 by LiamMuscleLTD from Great Taste I found this product to be a great replacement for the large amounts of chocolate I found myself binging on in the evening. It has a great taste of white chocolate and also provides that boost of protein you may feel you need. Container is not overly large but used sensibly will last you a good few weeks easily. Rated 5 out of 5 by Emz 101 from Amazing product! Tastes absolutely amazing! Love it and was delighted to get it on offer. Rated 5 out of 5 by EwaWx from Extremely addictive I'm not a big fan of white choc or cookie flavour choc byt this spread is just the best treat in the world!